WASHINGTON (CNS) — The bishop of Sacramento, California, said Catholic churches in the diocese could offer sanctuary to immigrants facing deportation, while the archbishop of Washington cautioned that offering sanctuary does not legally guarantee protection if federal agents come calling. Bishop Jaime Soto of Sacramento said his concern for immigrants revolved around the possibility of an order for mass deportation from President Donald Trump’s administration. He told The Sacramento Bee March 1 that offering protection to people would be something local parishioners could consider if such an order was issued. “We have to be ready to respond if and when that happens,” he said. Bishop Soto also said he hoped that “all the hysteria” in the country over unauthorized immigrants would lead to comprehensive immigration reform, which the U.S. Conference of Catholic Bishops has advocated for years. Meanwhile, Cardinal Donald W. Wuerl of Washington said in a March 2 interview with editors at The Washington Post that while the Catholic Church’s values mandate opposition to deportation of people already living in the United States, there is no certainty that immigrants staying on church grounds would avoid being arrested and eventually sent to their home country. “With separation of church and state, the church really does not have the right to say, ‘You come in this building and the law doesn’t apply to you.’ But we do want to say we’ll be a voice for you,” the cardinal explained. Cardinal Wuerl said that providing food and legal representation for immigrants was among the Washington Archdiocese’s top priorities. 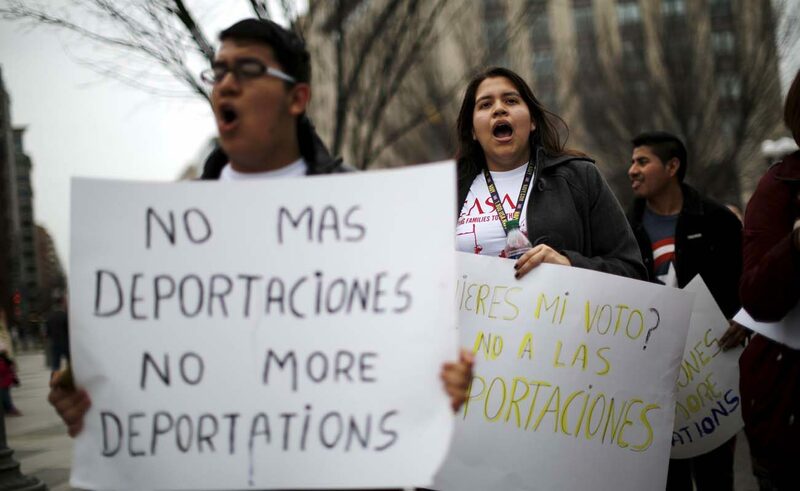 The situation of immigrants seems to have divided the country’s Catholics. The majority of Catholics voted for Trump, according to polling data. However, bishops and leaders of Catholic nonprofit organizations have decried Trump administration policies regarding the suspension of refugee admissions to the U.S. and stricter enforcement of immigration laws even on people in the country for years.